I imagine that anyone thinking of visiting London this year will be thinking of the Olympics, the Diamond Jubilee and so on, and that the Online Conference will be rather low down the list of must-sees. But for anyone who did have it as a priority, I have inadvertently misled you in a previous post. Because the organisers, inconsistent people, have changed their minds. Do not, whatever you do, go to the Excel Centre in Docklands in the first week of December. Because you’ll have missed it. Instead, go to the Victoria Park Plaza hotel, on November 20th and 21st. And be prepared for a change, because the format has changed. The organisers say that they are ‘focusing on the long-running Online Information Conference’ with a ‘scaled down exhibition area’. In a way, this is back to the roots, I suppose. 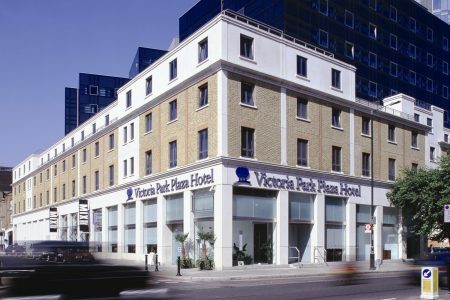 A conference with a few exhibition stalls in a West London hotel: just migrated to Victoria from Kensington over a thirty-five year period, and with considerably higher prices, even allowing for inflation. Whether the conference, with – it would seem – a much smaller exhibition with no free tickets, will still be so popular as a venue to meet people, and an excuse for Christmas shopping, remains to be seen.